Adidas has spent the last four years curbing ocean pollution by recycling plastic beach waste into shoes – and because their customers have been so eager for the product, the company is kicking it up a notch. Adidas produced more than five million pairs of recycled plastic waste shoes in 2018, and they plan to incorporate the waste into at least 11 million this year. The upcycled plastic waste is made into a yarn which has since become a key component of the upper material of Adidas footwear. In addition to shoes, the company has also used it to make the first ever football jerseys made from recycled materials. 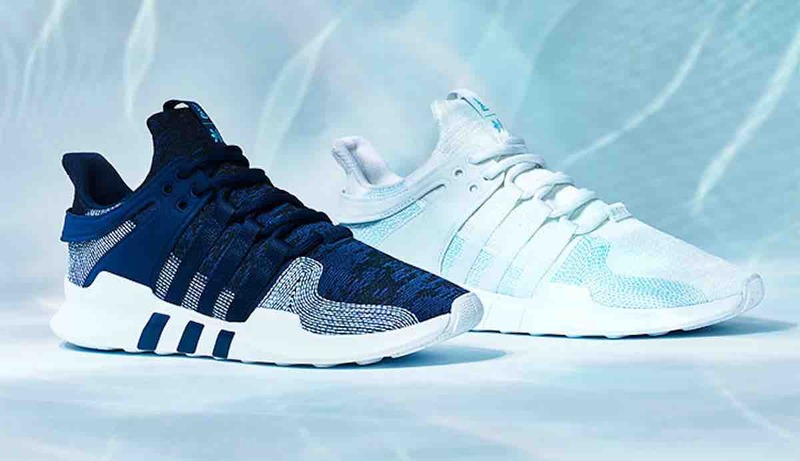 The sporting goods manufacturer first started making the shoes in collaboration with environmental group Parley for the Oceans back in 2015. 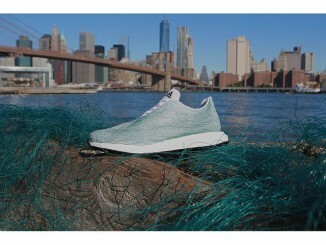 They developed the slick kicks using plastic waste intercepted on beaches, such as the Maldives, before it can reach the oceans. The Parley shoes (see them on Amazon) are recreated from editions of their UltraBoost shoe, and a new version of their Adidas Originals shoe. And, in 2016, Adidas stores stopped using plastic bags. “We also continue to improve our environmental performance during the manufacturing,” said Gil Steyaert, who is responsible for global operations. “This includes the use of sustainable materials, the reduction of CO2 emissions and waste prevention. Additionally, Adidas is committed to using only recycled polyester in every product and application where a solution exists by 2024. As a founding member of the Better Cotton Initiative, Adidas meanwhile sources only sustainably produced cotton. Recently, Adidas signed the Climate Protection Charter for the Fashion Industry at the UN Climate Change Conference in Katowice, Poland—and agreed to reduce greenhouse gas emissions by 30% before 2030.